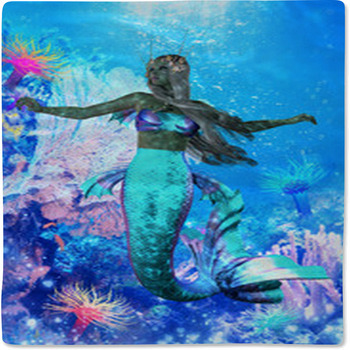 The wonders of the sea captivate us, as we imagine a land where mermaids swim and dance to their own songs. 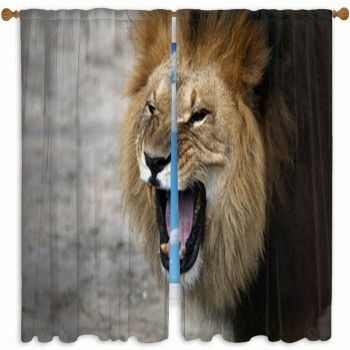 The beautiful and exquisite sea creatures live in our thoughts and dreams. 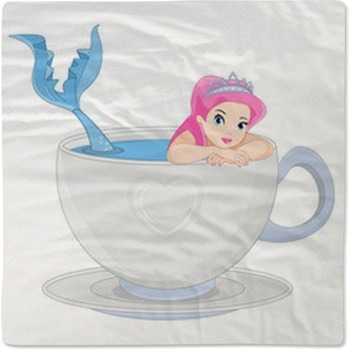 Just as we are not ready to admit unicorns are not real, we are not ready to admit mermaids are part of tales told by sailors coming back from the sea. 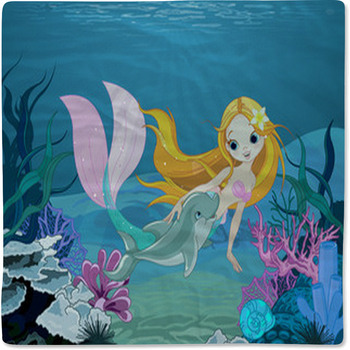 Instead, we will continue to enrich our children's lives by telling them tales of magical creatures such as mermaids. 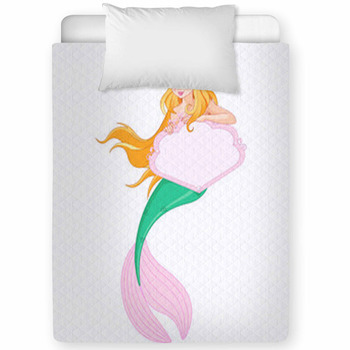 Now, with our collection of mermaid baby bedding, you can start now! 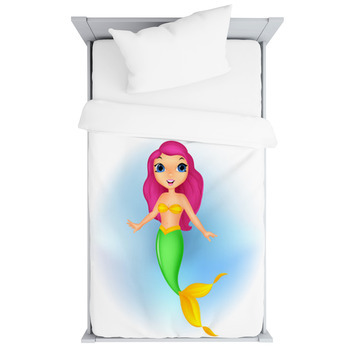 Your child can also experience the same thrill you once had when you saw the half girl and half mermaid in the movie “The Little Mermaid.” Our mermaid baby bedding collection has something for all ages. 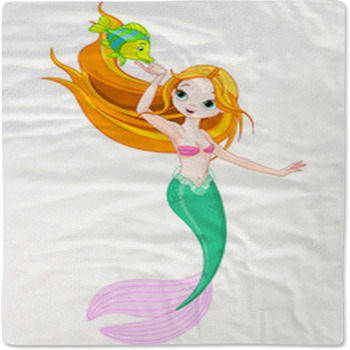 For little girls, we have mermaid cartoon bedding with an image of a young mermaid with green hair and tail. 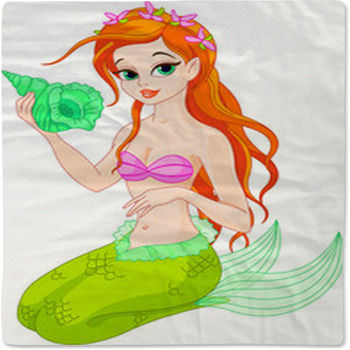 Do you want something a little closer to your favorite Disney character?We havea mermaid holding a conch shell and one where she is sitting on the infamous rock. 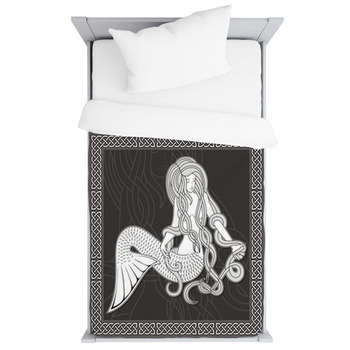 Older girls should consider the bedding of a stunning mermaid drawn with a pencil. 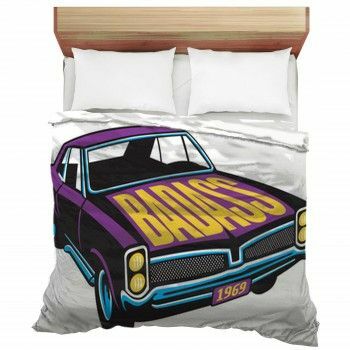 The use of the pencil makes the colors pop out. 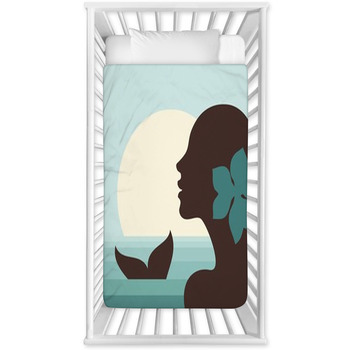 She sits on the rock turned towards you as the water splashes around her.Another incredible mermaid bedding is of a mermaid leaning back in the sunset. The exquisite orange colored sunset outlines the shape of the mermaid, making her appear more prominent. 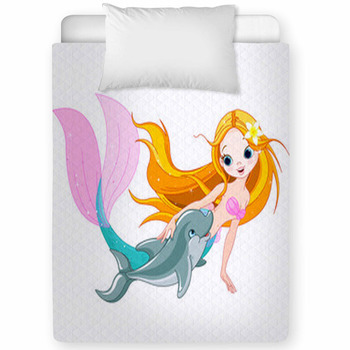 You might go in looking for something for your child, but may end up getting mermaid bedding for yourself too, as there is a child in every one of us.